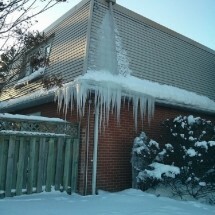 Ice build ups can destroy your home! This ice will keep water from draining away, eventually seeping into your roofing and causing leaks. Water from a leak can travel down pipes and wires throughout your home. This is why you can't stop a leak without a professional, since water is almost never coming from straight above the leak. 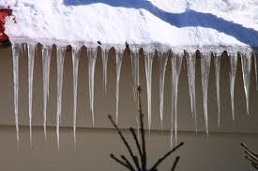 For Ice dams and leaks in Prince William County check out Roof.net.